I stopped by Target after work on Monday and Tuesday nights, only to find nothing but packs of football cards and Pokemon stuff where I had hoped to find blasters of 2016 Topps. 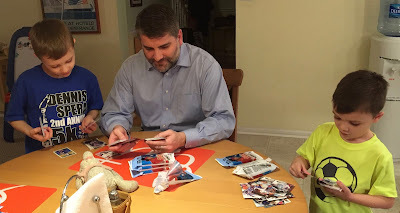 Last night, my wife Jenna stopped at Target and actually asked someone if packs of 2016 Topps were available for sale. The clerk checked and found a still unopened box in the baseball card aisle. It was opened there on the spot and my wife came home with 10 of the 36-card jumbo packs. The only chore now was to split up the 10 packs among my two sons and me. Ben, our youngest, was happy with two packs. Doug, our oldest, took four packs leaving the remaining four packs for me. Within Doug's first pack, three cards in, we had our first Phillie of 2016 - the Ryan Howard card featured at the top of this post. 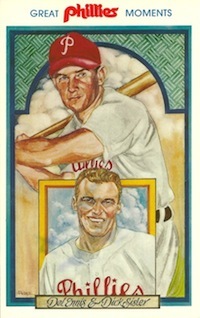 I feel like an old-timer saying this, but I'm not yet sold on the new-fangled design direction of Topps' flagship set. (And for the record, Doug and his nine years of experience isn't sold on the design either.) My wife commented that they look Upper Deck-ish with full bleed, no border photos. There are smoky touches on the corners and the backgrounds of each photo are blurred out. 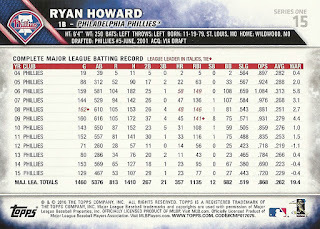 I think I would have liked the design in a set of 300 cards, but as the design to the Topps flagship set I'm not so sure. I am happy about Topps' decision to once again use silver foil sparingly on the cards' fronts. The players' names are easy to read which is helpful for me since there are quite a few names I no longer recognize. 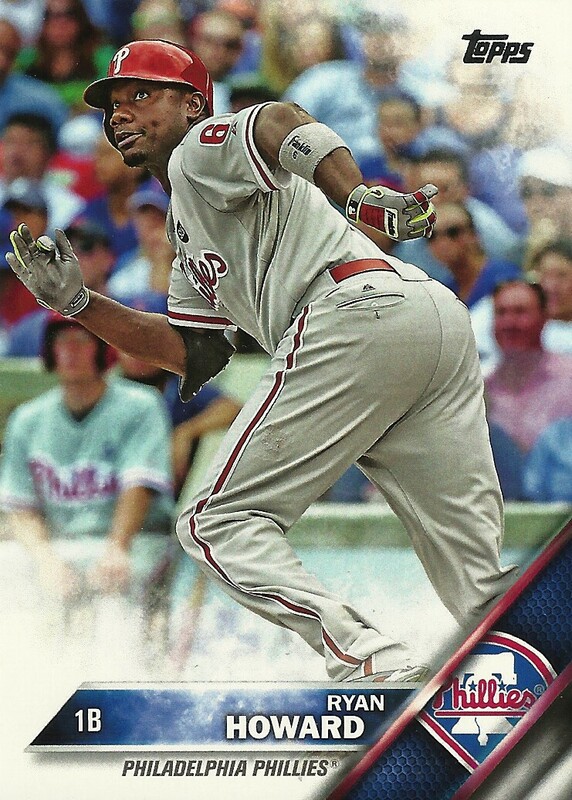 The backs of the cards are reminiscent of the 2015 Topps card backs. 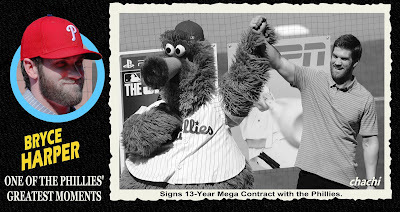 The Phillies have 10 players featured in Series One, and two of those players - Aaron Harang and Jeff Francoeur - won't be back in 2016. I ended up getting seven of the Phillies cards in the set, which I traded away to Ben for a few Red Sox inserts to eventually ship up to Section 36. (I've pre-ordered master team sets for Doug and me, which should arrive at some point next week.) Ben also found a Jeremy Hellickson Diamondbacks card, which he wisely wouldn't trade to his older brother since Hellickson figures to see a lot of action with the Phillies in 2016. 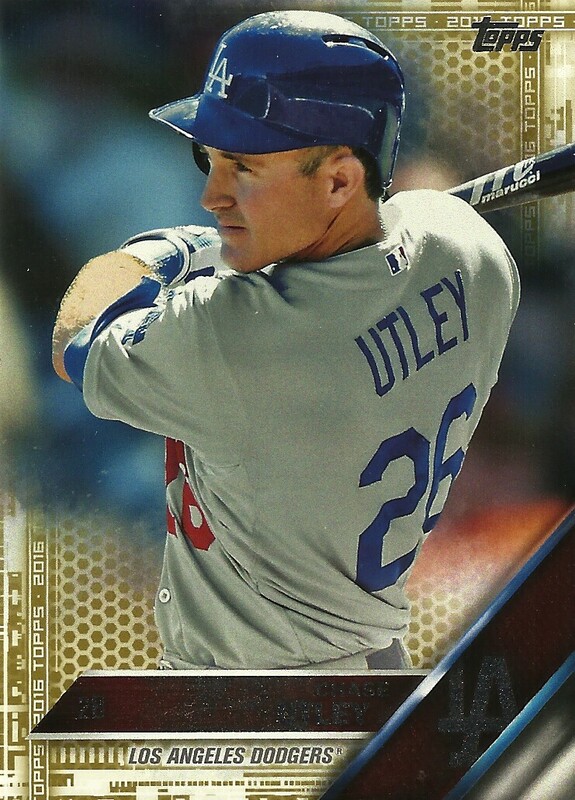 Doug made out great too, and I traded him my base Chase Utley card since I was lucky enough to find the gold parallel version of this card in one of my packs. I'm sure we'll buy some more packs in the coming days, but Doug has already announced his intention to once again collect the Opening Day and Archives sets. He'll save the Topps flagship set as a request from Santa. I don't know if Topps had a particular demographic in mind for this set, but it would seem that "sports card bloggers" is not it. Although I found it very interesting that my oldest son was unimpressed with the design, since I have to imagine he's directly within Topps' targeted demographic. I can't wait to have some in my hands to see the design in person. I think I could like it. Five days after you got these and my Target is still card-less. Arghh. Looking at the picture got me thinking--imagine how much better the experience would be for kids if they were chomping on sticks of gum while opening packs like we all did as kids. I can't imagine gum would stick to, or leave stains on, glossy modern cards. I think Topps is just saving a few pennies but it would be interesting to see if sales went up if they started including it again.